February 15, 2018 By Stacy Leave a Comment By clicking on our links, we might make a SMALL commission - Thanks for the support! See our full DISCLOSURE here. Ready to move from a crib to a toddler bed? 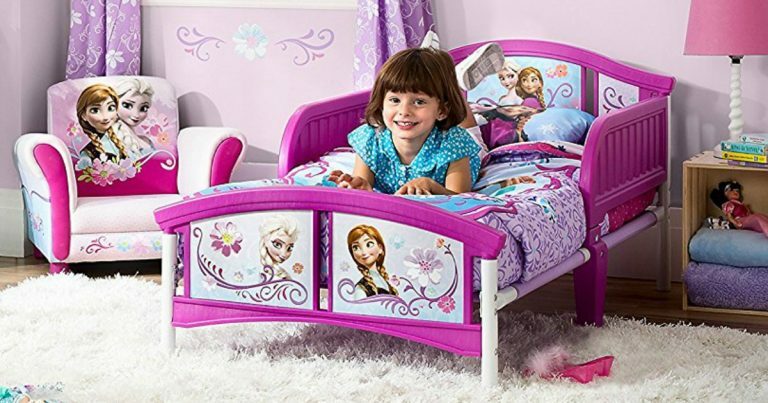 Amazon has a deal on this Disney Frozen Toddler Bed & Mattress bundle for just $48 – reg. $97.99 if bought separately! This bundle includes bed and mattress! Move up to a bigger bed when baby is ready to leave the crib. Sturdy steel frame and high-quality plastic construction. 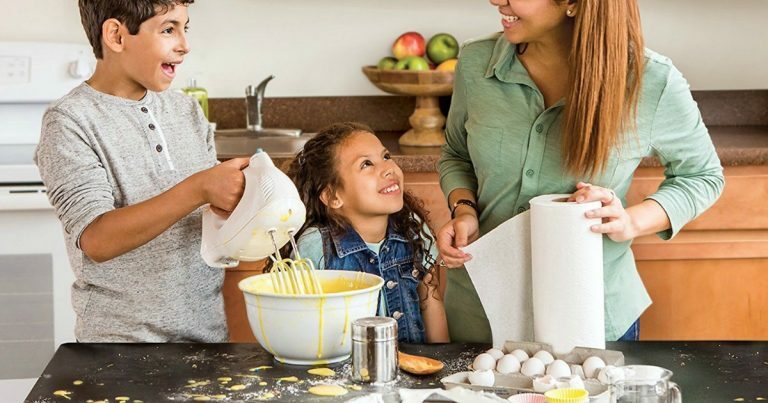 Hurry over to Amazon and snag a great deal on Scott Choose-A-Sheet Mega Roll Paper Towels, 6 Count (Pack of 4) As Low As $15.40 – $0.64 Per Roll! 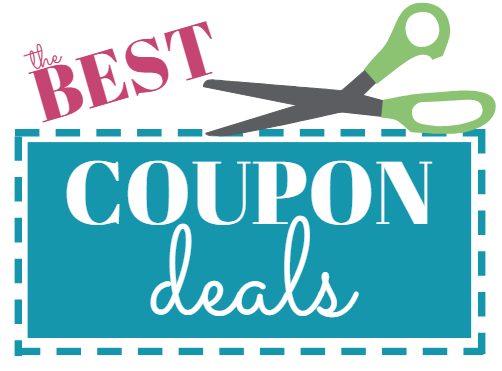 – just clip the $1.50 off coupon and choose to Subscribe & Save with 5+ subscriptions in a month and score it for $15.40 shipped free with Prime or a $25 purchase. Choose “Skip Immediate Delivery and Just Add Subscription”. 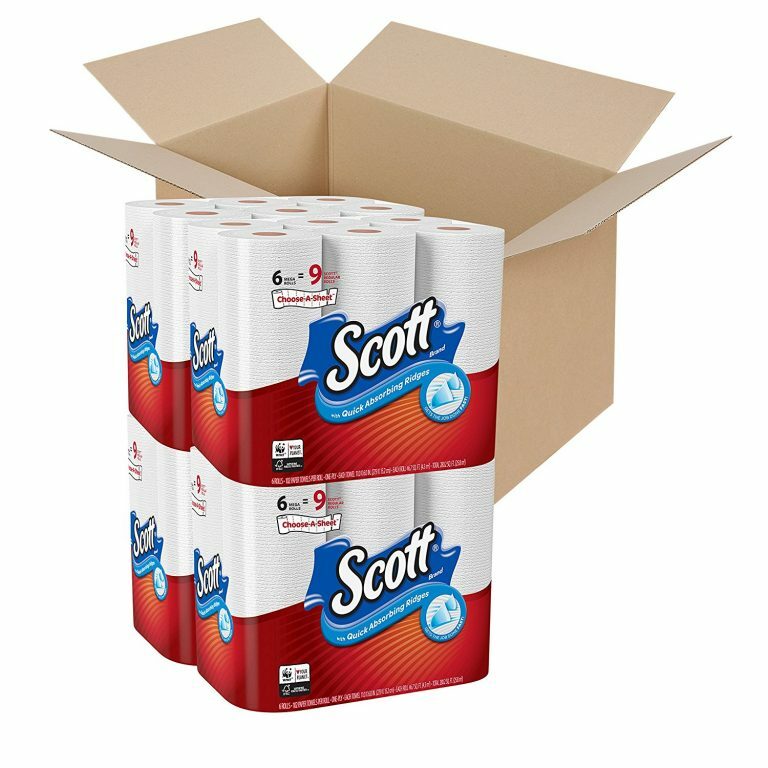 Contains (4) 6-Count packages of Scott Choose-A-Sheet Mega Roll Paper Towels. Choose the size you need from one half sheet to several! If you don’t have an Amazon Prime Membership, use THIS LINK for a free 30 day trial! 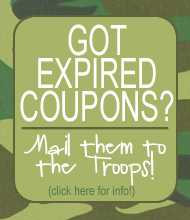 If you decide you love it as much as we do, you can buy a full year for only $99, or pay just $10.99 per month! Hop to Walmart and snag this Super-Brella Outdoor Shelter Umbrella for only $31.49 (reg. $44.99). Water-repellent to shield you from sun, rain and wind, keeping you dry and comfortable. 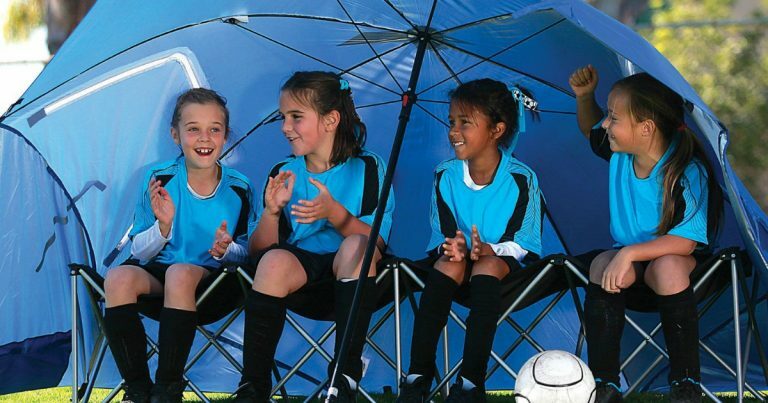 The folding umbrella action makes it easy to quickly set up. 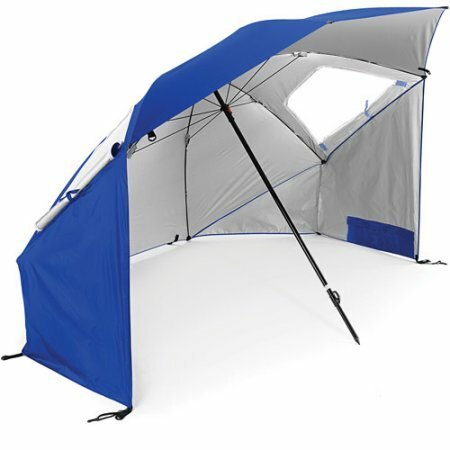 Vents in the top and zippered windows on the sides of the umbrella allow for airflow so you don’t get too hot. Includes a carry bag plus tethers and ground stakes to keep the umbrella securely in place. Shipping information: Free store pick-up if available; otherwise, shipping is free with a $35 purchase. February 12, 2018 By Stacy Leave a Comment By clicking on our links, we might make a SMALL commission - Thanks for the support! See our full DISCLOSURE here. Grab some of these and put them in your gift closet – they would be great for Father’s Day! 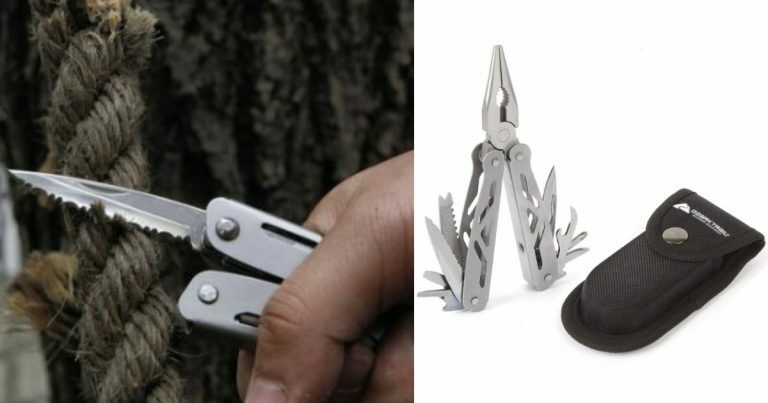 Visit Walmart and snag one Ozark Trail 14-In-1 Multi-Tool for $3.97 (reg. $9.97), or snag a Ozark Trail 14-In-1 Multi-Tool 2-Pack Value Bundle for only $5.56! Include a sheath that attached to a belt. Makes a wonderful gift item. Great for everyday use, camping, and more. Shipping information: Select free store pickup if available, otherwise shipping is free on orders of $35. Visit Amazon and snag a deal on this Smart & Simple Playard – just $67.19 (reg. $119.99). The Smart and Simple Playard is the perfect place for rest, changing, and play. The elevated changing table flips out of the way when not in use. Convenient side storage pockets are handy to store diapers, wipes, and toys. Babies are messy! Machine-washable fabrics in easy zip-off pieces: mattress, DreamCentre and changing table. Quickly fold and go without removing the bassinet with the fold and go feature, and a handy travel/storage bag is included! 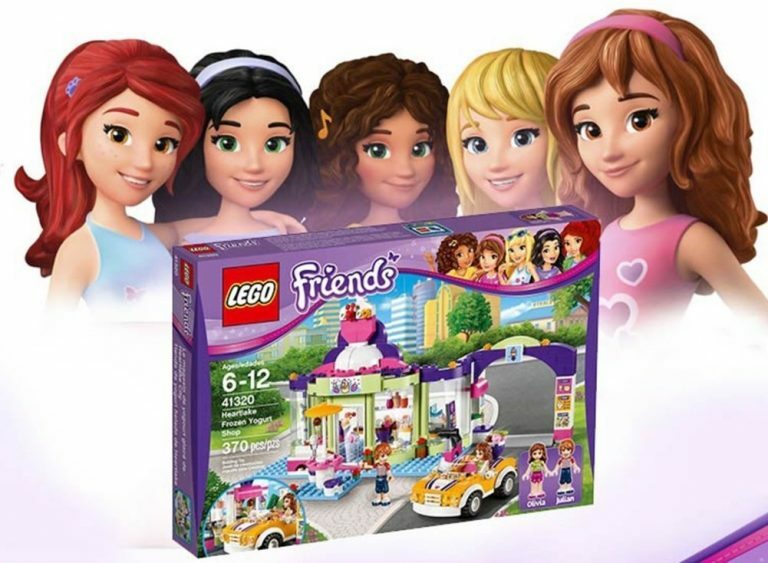 Target has a deal on this LEGO Friends Heartlake Frozen Yogurt Shop – just $31.99 (reg. $39.99). 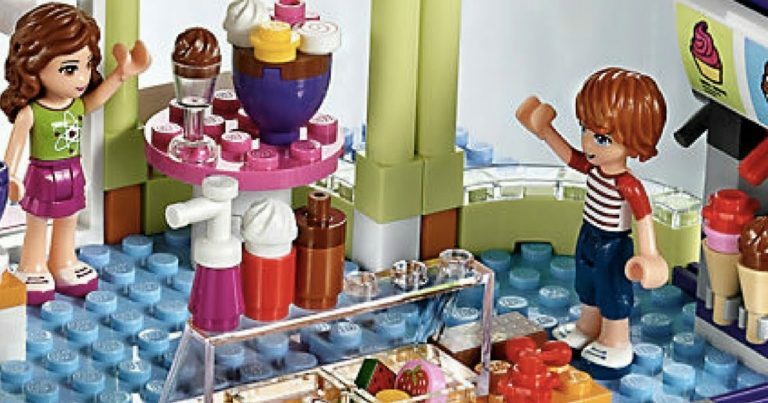 The LEGO Friends Heartlake Frozen Yogurt Shop comes with a frozen yogurt machine with self-serve function, bar with a choice of toppings, weighing scales, phone to take orders, inside seating area and outside table with a parasol. Shipping information: Choose free in-store pickup if available near you. Shipping is free on orders of $35+. If you’re a Target REDcard holder, snag FREE shipping on ANY size order plus an additional 5% off your purchase! This is a great deal on a really fun game. 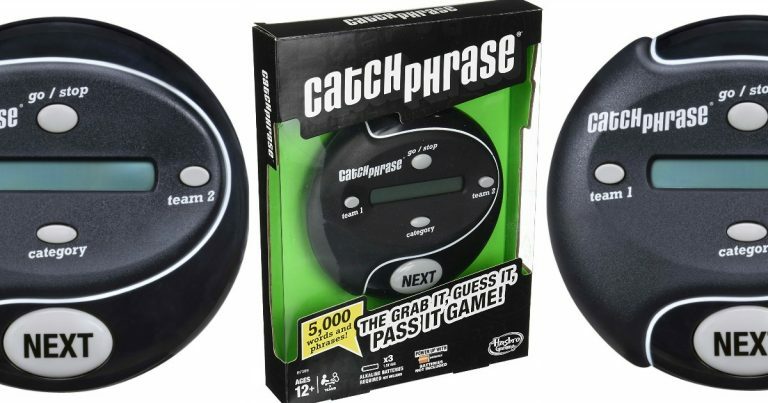 Amazon has Catch Phrase for only $10.85 (reg. $19.99). Play The Grab It, Guess It, Pass It Game! Catch Phrase is an electronic game with 5,000 words and phrases! Get your teammates to guess the word or phrase that appears on the screen by describing it before time runs out. Catch Phrase covers subjects including Fun and Games, Entertainment, Everyday Life, Variety, and The World. February 11, 2018 By Stacy Leave a Comment By clicking on our links, we might make a SMALL commission - Thanks for the support! See our full DISCLOSURE here. Want some pretty, new bedding to redo the look of your bedroom? Check out this sale on King and Queen 5-Piece Quilt Sets for just $29.79 (reg. up to $160). 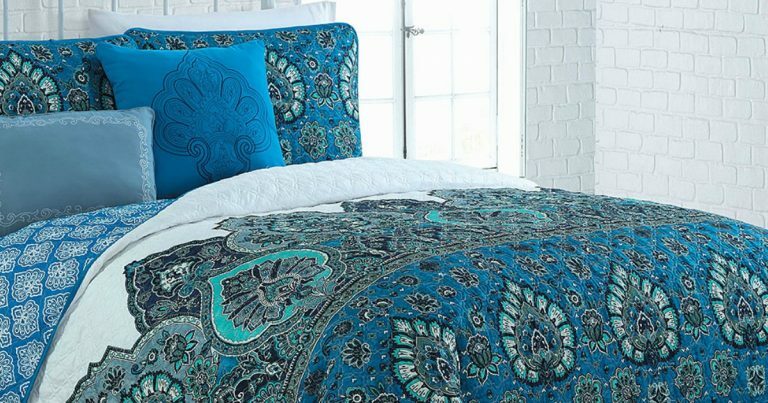 Sets include: 2 shams, quilt, and 2 decorative pillows. Most sets available in King and Queen. Contemporary designs for a bedroom you love! The included set of coordinating pillows and shams help create a full bedroom ensemble in a flash. Shipping information: Shipping adds $6.95 + $2 per additional item. BUT, once you order your shipping is FREE the rest of the day! 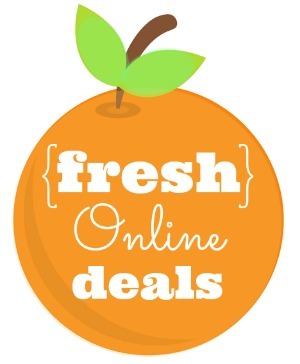 So buy just one item, then go back and order the rest of what you want and it will ship free. 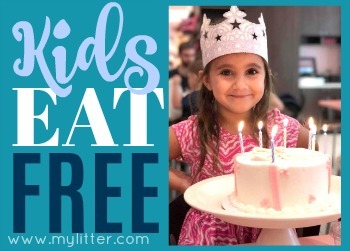 Thanks, One Momma Saving Money! Nothing beats a proper Ice Bag when you need it! Grab this Reusable 9″ Ice Bag for only $3.49 (reg. $6). Cold therapy after an injury helps to reduce swelling and decrease pain. 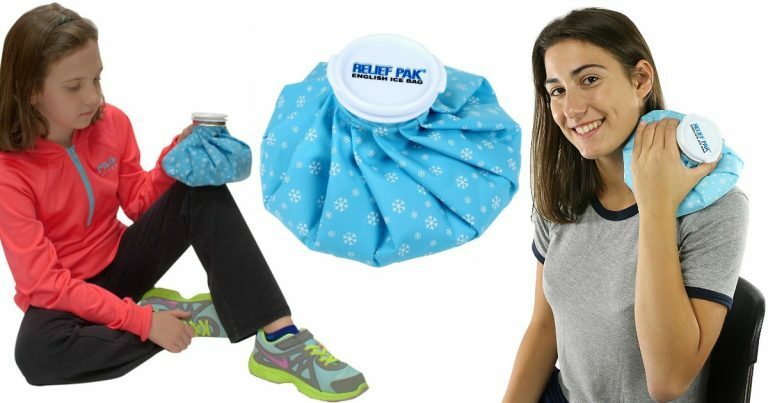 Also great for relieving pain and discomfort from bruises, muscle aches, swelling, headaches and more. The waterproof rubberized fabric keeps the bag cold and dry. Features a large, easy fill opening and a plastic cap that seals. The bag is reusable. This add-on item ships free with a $25 purchase. Amazon: Honeywell Econoswitch 7-Day Programmable Switch $31 (Reg. $50) – Terrific Ratings! I love all the smart home things that are on the market! 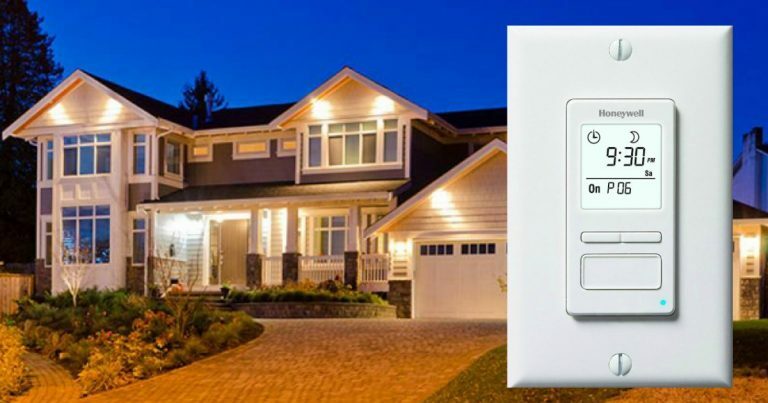 Snag this Honeywell Econoswitch 7-Day Programmable Switch for Lights and Motors for only $31 – reg. $49.99! 3400 people rate this 4.7/5 stars! Run up to 7 programs. A program can apply to a single day or repeat every day! Solar feature can turn lights on at dusk and off at dawn. Have the lights on when you come home! Save money by turning lights and more on only when you need them. Also includes a random program for added security — it will randomly turn things on and off so it appears that you are home.